It’s been almost a year since Brooklyn emcee Torae released his highly-acclaimed debut album, For The Record. It’s also very surprising when I hear people say they didn’t know that he released an album in November 2011. Two positive things about this is that 1) Torae creates timeless hip-hop and 2) his lyrical genius is not time specific, so you could purchase this album 5 years from now and it will still be fresh and banging. The negative thing is that for those who have not purchased his album yet, you are truly missing out on some great music. 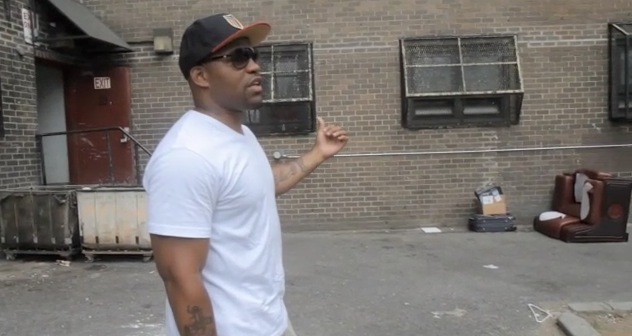 Well, don’t fret because Torae created a docu-series of the making of his debut For The Record. It’s rare to see the behind-the-scenes process that goes into putting together a project, both on the business side and the personal side. Torae exposes us to both sides in this intimate look into his personal life and his career as an independent artist. In this first webisode (out of five), Torae opens up about his childhood, growing up in Brooklyn projects, his mother, his introduction to hip-hop and more.